Don’t let Thanksgiving break the bank! Thanksgiving is one of the most beloved American holidays, but it can also be the most expensive. 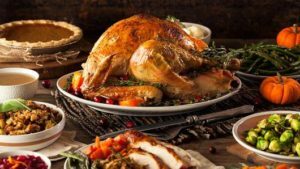 Families across America waste nearly 25% of all food prepared on Thanksgiving, and The American Farm Bureau Federation estimated the cost of Thanksgiving dinner for 10 people was $50.11 per person last year. That’s a huge expense and a lot of waste! 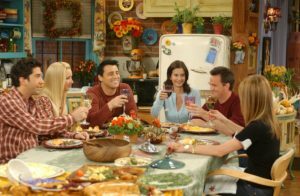 To prepare yourself and your wallet, check out the following tips to ensure your Thanksgiving dinner is a success without breaking the bank so you can continue to pay your rent/mortgage this holiday season! 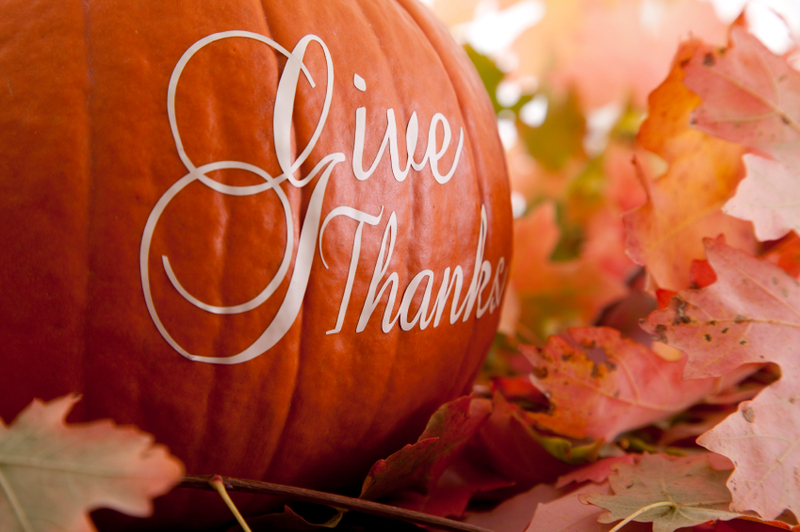 Thanksgiving dinner is usually followed by days of leftovers. To save money and not push the bounds of your refrigerator or your budget, determine how many guests you expect in advance so you can create a more accurate menu and shopping list. Then, plan and stick to a budget using an online personal finance management tool like Mint.com. Local newspapers and TV stations often post updated lists the weeks before Thanksgiving on food prices at various grocers. Mobile apps like Grocery Pal are also great for monitoring price changes while on the go. Cross referencing with your grocery list is one way to shave a few extra dollars off your shopping trip. The first question friends and family usually ask when invited to any dinner party is, “What can I bring?” Don’t be embarrassed to answer. In addition to spirits and cocktails, you can ask guests to bring desserts or side dishes. It’ll be cheaper and significantly less work for you, plus it makes everyone feel they helped make the day a special one. If you’re going to host a large group, take advantage of bulk deals at grocery stores or make a trip to a warehouse retailer for nonperishable items such as alcohol or canned foods. Stocks, canned soup and vegetables are often on sale this time of year and can be used in dishes for many months to come. It’s the centerpiece of the table to be sure, but that doesn’t mean you can’t get creative to save some money. One way is getting a smaller turkey and supplementing the meal with additional side dishes. 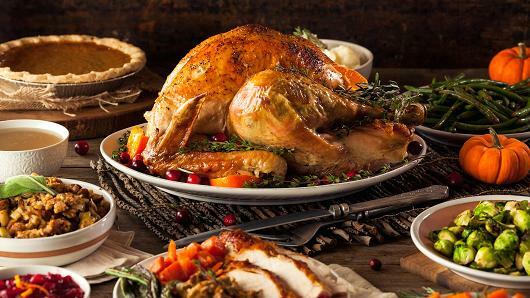 Opt for a grocery store turkey, which will cost about $2 a pound, and for an even better deal, visit your grocery store early and store the turkey in your freezer. There’s no need to spend lavishly on table accents. Check out photo sharing sites like Pinterest for a number of festive, easy to execute ideas. For example, pick up votive candles from a craft store, and arrange them around fall leaves and pine cones from the backyard. The candles will cost a few dollars, and the foliage is free. The greatest part about Thanksgiving is that there are no rules. Anyone can incorporate their own traditions with foods that represent who they are. Make sure you have a plan, be flexible and, most importantly, remember it’s about having fun with the ones you love.